8700 block S. Central Ave.
Rivaldo Henry Rivera, a 16-year-old Latino teenager, was shot and killed Tuesday, Jan. 30, in the 8700 block of South Central Avenue in Green Meadows, according to Los Angeles County coroner’s records. Rivaldo was hanging out in the courtyard of an apartment complex with others about 6:45 p.m. when a gunman walked up from a nearby alley and began shooting at the group, Los Angeles Police Det. Nate Kouri said. Three people, including Rivaldo, were struck, and taken to a hospital. Rivera was pronounced dead at 7:06 p.m., according to coroner’s records. The shooter may have been targeting gang members in the area, Kouri said, but police are still investigating a motive for the shooting. 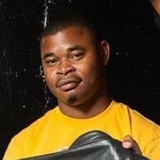 Jason Darnell Brown, a 41-year-old black man, was stabbed to death Monday, Jan. 1, in the 800 block of East 87th Place in the Green Meadows area of South Los Angeles, according to Los Angeles County coroner’s records. About 7:30 p.m., Los Angeles Police responded to a home and found Brown suffering from stab wounds, said LAPD Det. Dave Garrido. Brown was pronounced dead at the scene at 7:42 p.m., according to coroner’s records. Investigators think Brown got into an argument inside a home with a 48-year-old black woman he was dating, Garrido said. The woman, identified by police as Roshawn Knight, stabbed Brown during the argument, then fled in a large SUV, Garrido said. Authorities found Knight in Hunt County, Texas, on Jan. 3, according to online jail records. Knight is awaiting extradition to Los Angeles, where she faces murder charges, police said. Jayshawna Daily, a 19-year-old black female, died Sunday, Nov. 19, after being shot in Green Meadows, according to Los Angeles County coroner's records. Arturo Misael Villanueva-Sanvicent, a 26-year-old Latino male, died Saturday, Nov. 18, after being shot in Green Meadows, according to Los Angeles County coroner's records. Steven Lynell Gantt, a 56-year-old black male, died Thursday, Sept. 14, in Green Meadows, according to Los Angeles County coroner's records. 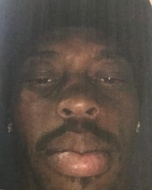 Dontranail Hughes, a 42-year-old black man, was shot and killed Sunday, April 30, in the 9700 block of Stanford Avenue in Green Meadows, according to Los Angeles County coroner’s records. Hughes and another man were standing on a street corner just before 7 p.m. when a person walked up and began shooting, said Los Angeles Police Det. Nathan Kouri. Both of the men were struck. Hughes was taken to a hospital, where he was pronounced dead at 11:16 p.m., according to coroner’s records. The other man is expected to survive. The shooter fled in a vehicle, but detectives are still trying to confirm a vehicle description, Kouri said. Herbert Torres, a 37-year-old Latino, was shot and killed Saturday, April 29, in the 9500 block of South Avalon Boulevard in Green Meadows, according to Los Angeles County coroner’s records. Torres was sitting in the stairwell of an apartment complex about 3 a.m. when a person walked up and shot him, said Los Angeles Police Det. Nathan Kouri. The shooter then walked up to Jose Luis Velasco, a 38-year-old sitting in a silver BMW, and shot him at “close range,” Kouri said. The shooter then walked back to Torres and tried but failed to fire again, then fled. Both Velasco and Torres were pronounced dead at the scene. Kouri said police are still trying to determine a suspect description because the shooter’s face was covered during the attacks.